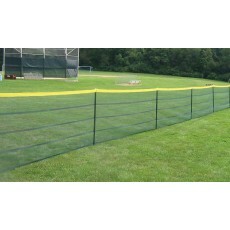 Anthem Sports offers a great selection of temporary outfield baseball fencing solutions to transform your field into an undisputed winner. 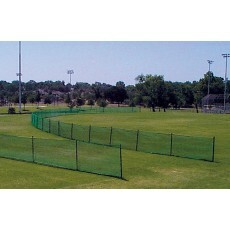 Our collection includes top-of-the-line temporary baseball fencing from Grand Slam® and Enduro®, but we also offer our own line of portable baseball fencing packages that will be a home run for any program! 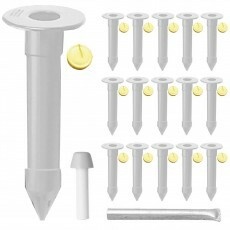 In addition to fencing kits, we offer ground sockets, pole kits, and tools to help you get the job done. 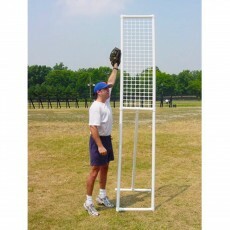 Browse our inventory today to stock up on all the outfield essentials you need to enhance America’s favorite pastime. 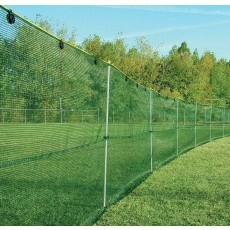 Our selection of baseball fencing solutions includes deluxe Grand Slam® mesh fencing that is durable, soft, and easy to handle. 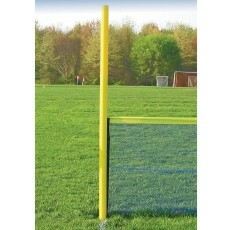 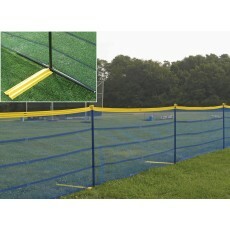 Their temporary baseball fencing ranges from 50 to 471 feet and includes yellow home run markers for easy reference. 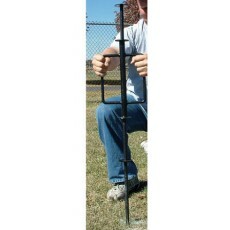 Best of all, their fencing is quick and simple to set up. 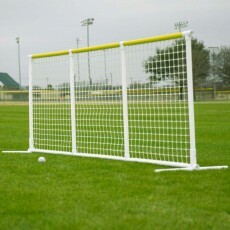 Just slide the polyvinyl chloride (PVC) poles into the slots that are woven into the fence and attach the fence to the top using the yellow latched cap. 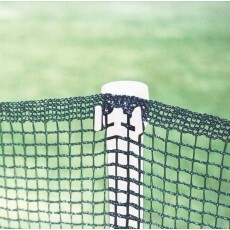 Once you’ve predrilled your holes for the poles, insert the temporary fence poles into the predrilled holes and your fence is in place and ready for use! 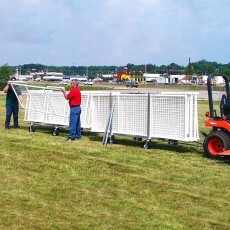 Removal of the fence is even easier than installation. 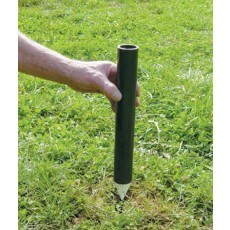 All you need to do is lift the fence out of the ground and roll it up, even with the poles attached! 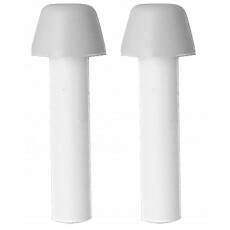 Optional ground sleeves and sockets are also available for sale. 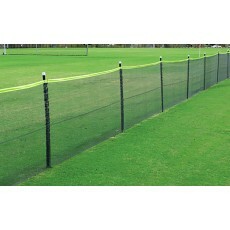 Enduro® fencing is another standard for simplicity, durability, and appearance. 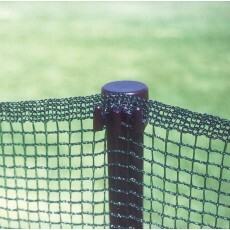 Their unique, portable baseball fencing system allows you to simply slide the poles through the permanent vinyl pockets in the fencing without needing to secure the poles with clips or other fasteners. 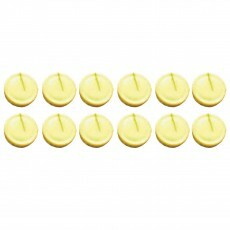 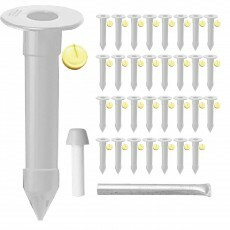 Most of the kits we carry include steel pilot hole tools for installation into hard ground. 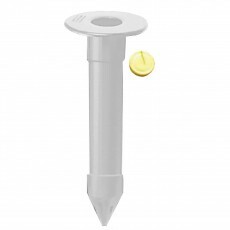 Needing to repair or replace? 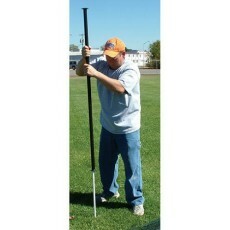 We offer replacement anchor poles and other accessories. 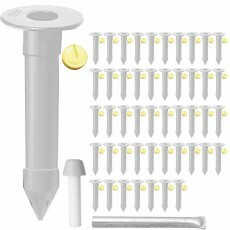 Contact a member of our team today for further assistance or any inquiries. 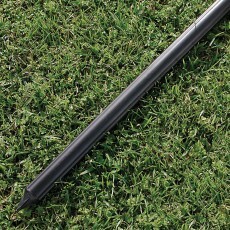 Design a beautiful field and maximize the home game potential of your baseball program!